The Leaky Shed Studio works with local and national artists to create distinctive chipboard and cardstock embellishments for scrapbooking and mixed media art. 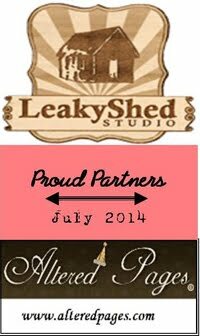 Products & Materials The Leaky Shed Studio is dedicated to producing amazing scrapbooking and mixed media products all made in America. We strive to purchase our materials from American manufacturers with an eye on being green. We special order American made chipboard which is composed of 100% recycled paper products and acid-free. The cardstock we use is made in the USA and is composed of 70% to 100% recycled materials.